This Pumpkin Photo Display post is sponsored by Portrait Innovations. You can read my full disclosure policy here. All thoughts and ideas are my own! Do you have photos you want to display, but want a unique way to display them? 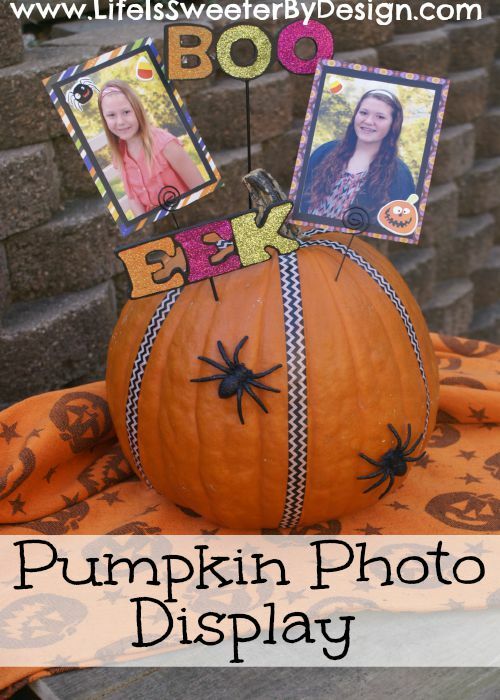 This Pumpkin Photo Display may be just what you are looking for! I had some photographs from our last photo session at Portrait Innovations that I wanted to put out, but didn't want to go with the traditional frame! Since it is Fall and Halloween will be here soon I decided to make a Pumpkin Photo Display to put on my dining room table. 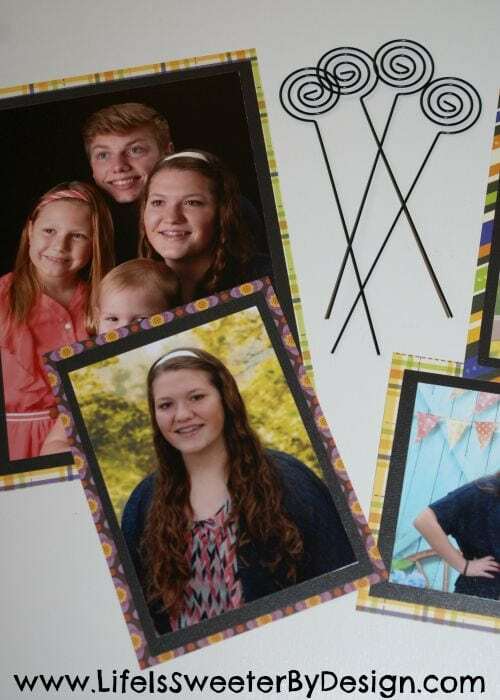 This display would look wonderful with the new Fall back drops at Portrait Innovations! Don't forget about their amazing Fall Special so you can get a really good price on your pictures! 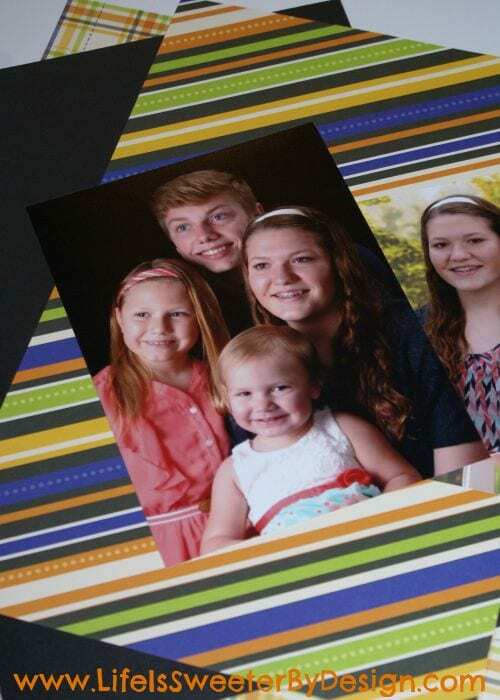 You will start off by matting your photographs onto cardstock. You can also use some patterned paper to add more of a Fall flair! I wanted to add some fun embellishments to my photo mats. I had some cute Halloween 3 dimensional stickers and so I added those. I thought it would be cute to add some Washi Tape to my pumpkin. 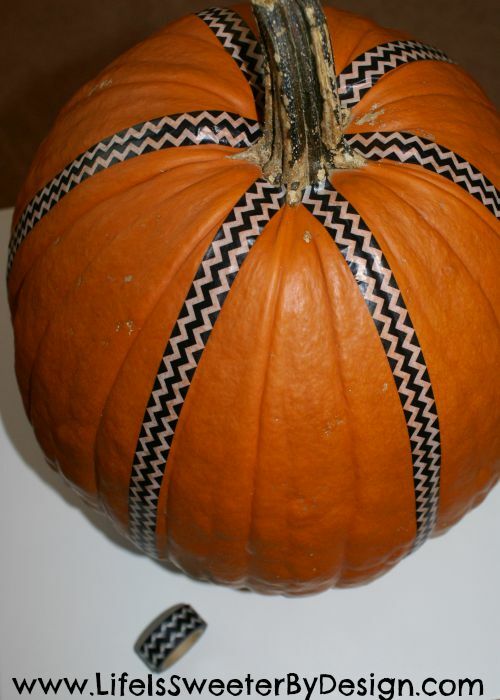 Just choose a tape you like and then put it on the pumpkin. It is very easy to reposition if you need to make an adjustment. 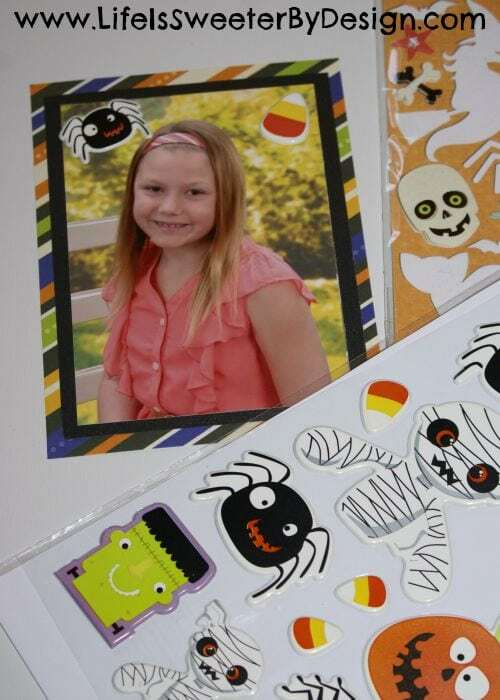 Just put your pictures onto the card holder sticks and arrange to your liking on your pumpkin. Add any decorative sticks you want. I found these adorable Halloween Decorative Picks at a local craft store. You can find all sorts of cute ones at Michaels! These just stick right into the pumpkin wherever you want them to go. I also added some glittery spiders for a fun Halloween effect! I would not use any photos over 5 x 7 in size because they are too heavy for the card holders to hold up. Remember, if you have a CD from Portrait Innovations that you can just pull your photos up and print off extras at home if you need a certain size for this project! I will actually be adding a few more wallet size pictures to my display once I figure out why my photo printer won't talk to my computer all of a sudden! LOL! You can use a “fake” pumpkin from a craft store for this project if it is one that has a soft, dense foam type texture like a Nerf football. Just make sure it is sturdy enough to hold the weight of the photos without tipping over! It would be really cute if you took your kids in to Portrait Innovations in their Halloween Costumes and had portraits made for this Pumpkin Display project! I am still hoping to fit that in to our schedule! What is your favorite, UNIQUE way to display photos at your house? Have you ever used a real pumpkin to display pictures? I think this such a great idea and honestly never thought about this. This is such a great idea for fall weddings and events too! Thanks for the idea. I hadn’t thought about weddings…but that is a good idea! What a cute craft! I would love to find a fake pumpkin thought, so I can keep it forever. Thanks Kristen…Hobby Lobby has some really nice fake pumpkins that would work! I just didn’t want to spend $40 on one, lol! Such a cute idea! I have 10 month old twin grand babies and this would be a perfect idea for their very first Halloween! That would be so cute for twins! Cute idea – I love the washi tape on the pumpkin! I do think that would lighten the blow, lol! An adorable way to display photos! You are so creative Jamie! Love this idea to display photos, and the washi tape is adorable. These would make nice gifts for grandparents. yes..it would be great for gifts! What a cute idea! I thought of all kind of things to stick into a pumpkin before but this clever idea I never came to mind! Pinned and Stumbled.